Are you ready for the wild sister? Come home to your true nature in the pulsing vibration of jungle magic. Dive into the delicious waters of the Caribbean ocean and remember your inner mermaid. Reset your rhythm with the Earth’s heartbeat and play like a child. Reconnect with your authentic self and awaken pure aliveness. Learn to love unconditionally and heal the wounds of the past. Face your fears and expand beyond your discomfort with courage and clarity. Feel the fullness of your embodied power and step forward onto the path of your highest vision. Connect with real deal sisterhood and become inspired with a new beginning for the rest of your life. If this is your heart’s calling, it’s time to answer. Life is an adventure and we are here to live it fully. Expect to get muddy, sandy, wet, sweaty, and super blissed out in some of the most beautiful nature on the planet. We also take the true adventure of the soul, a messy, gorgeous, healing, awakening journey within. Our week has been designed with deep intentionality. Each day artfully weaves around a specially chosen theme, through yoga, meditation, sharing, contemplating, and exploring. Everything we do comes from the deepest intention of LOVE. It’s one thing to know something, quite another to BECOME it. Our yoga practices, dance meditations, and nature explorations facilitate the space to drop into your body and allow your life lessons to integrate deep into the cells of your being. Most of us have learned to tame our dance, quiet our voice, and put ourselves in a box smaller than the wild uniqueness we really are. I teach from the perspective that self expression opens door to freedom, and all of our yoga practices, dance meditations, and sharing circles allow you a safe container to naturally express the emotions, thoughts, movements, and sounds that want to release and flow. We’re the real deal. We show up 100% ourselves, totally transparent, connecting with you as our sisters. There’s no wall, no veil, and no pretending. You will feel so connected with us, so very quickly. We have space for just ten special sisters to allow for a very intimate experience. Rather than a retreat center, we stay in a big, beautiful beach house where we share meals at our communal table and snuggle on the sofa after a sweet day at the beach. You can expect yoga practices, group sharing, and women’s circles where you will feel yourself and your sisters so deeply. The modern world we live in has all but forgotten sacred ritual that feels so natural and so good. We’ll weave ritual, intention, and ceremony into our days to remember this sacred dance of life. Examples include nature ceremonies, women’s circles with songs, magic, and sharing, safe space every dinner to speak what’s in your heart, and so much more. 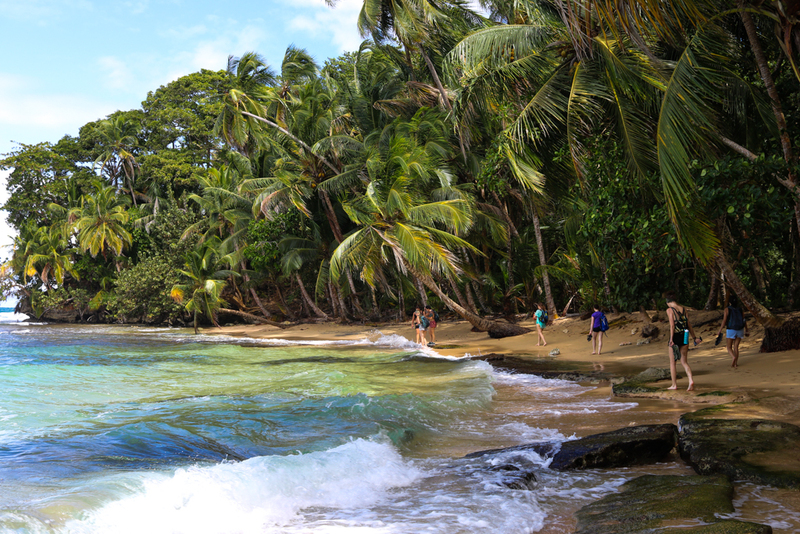 The South Caribbean of Costa Rica is one of the most stunningly beautiful places in the entire world. 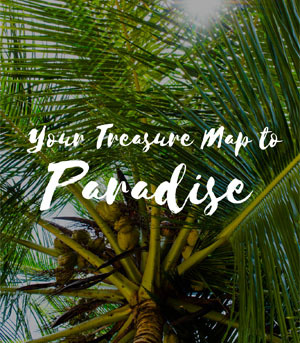 Expect warm turquoise water, golden sand, shimmering palm trees, and heart shaped vines everywhere you turn. This beauty is also wild, raw, and unpredictable. Which means, expect that anything is possible. Everything we share on Jungle Goddess Week comes from our whole hearts. Whether it’s the local, organic food made with pure love by our private chef or our sacred home that I personally decorate with my favorite oracle cards and spiritual books or the dance meditations that I have sweat and cried over or the grounded support from our in house logistics coordinator (my soul sister and best friend), you will receive nothing less that absolute LOVE. 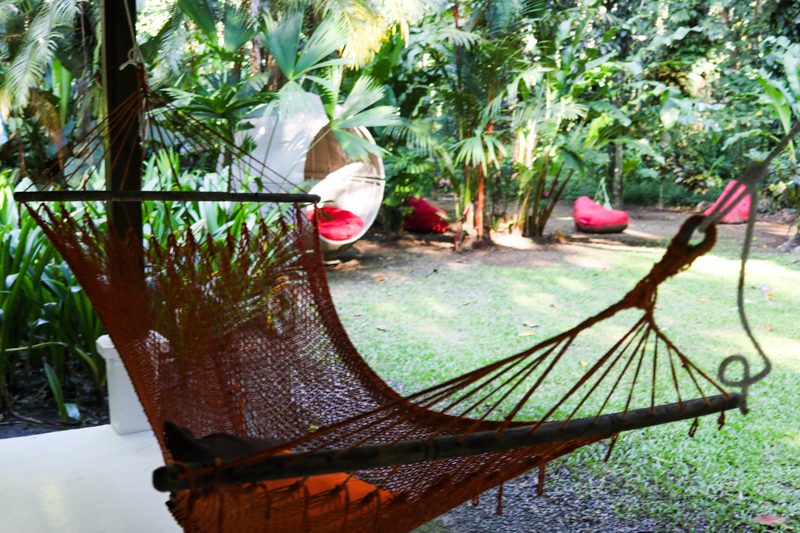 7 nights accommodation in our beautiful and private jungle chic home across from a stunning beach. We make this an absolute sanctuary, filled with all kinds of enlightening books, oracle cards, crystals, and cozy spaces to be with yourself or one another. Private group A/C shuttle transportation to and from the airport in San Jose, Costa Rica as well as all local transportation with our own private driver. Plus you get your own beach bicycle cruiser to explore the area in your free time. Daily organic, vegetarian, gluten-free meals made by our in home chef. 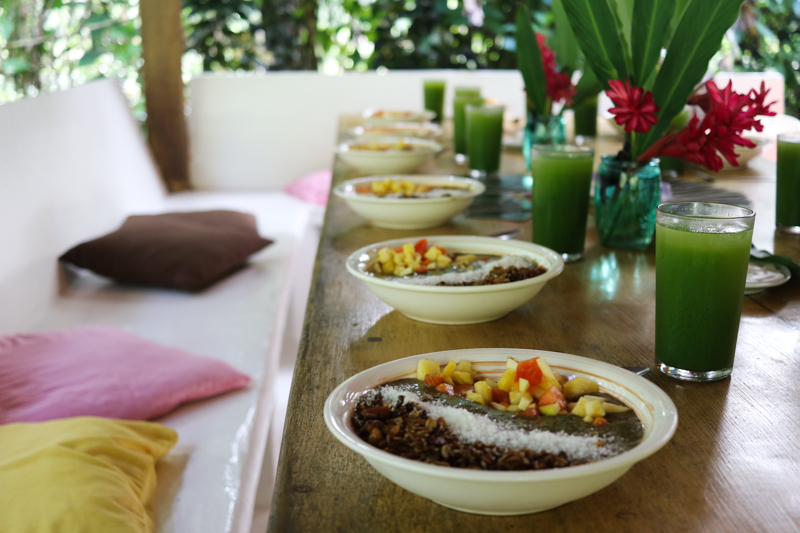 The food is a HUGE highlight of our retreat, and I guarantee you will be asking for recipes at the end. Examples include veggie burgers with cashew “cheese” and passionfruit slaw, vegan phad thai with kale mango salad, chia pudding parfaits with cacao nib granola, homemade coconut milk with your organic morning coffee, and tropical breakfast tacos with super green smoothies. Juicy daily yoga practices that go deep into the multi-dimensional layers of you. Explore relevant life themes through physical movement and meditation, accessible for all levels.These practices intend to help you love your body, feel more alive, connect with your central source of power, and strip away the mental chatter so you can feel more fully and deeply. Transformational and awakening dance meditations crafted and developed by yours truly. Past retreat participants say that these are their favorite part of the whole retreat!! You’ll be amazed how incredibly liberating it is to experience this level of emotional flow and freedom of movement. It’s also common to reach transcendental states and experience spontaneous realizations. Compassionate listening and sharing circles to open and connect in safe, loving ways. We set clear boundaries so that you can open up without any form of judgement, gossip, or even advice. This is your space to speak your heart and be held with unconditional love. I cannot emphasize enough how tremendously healing this is, you’ll just have to experience it for yourself. Magical nature excursions to my favorite places in the area. I’ve called the South Caribbean my home for 6+ years and will show you some very special secret places. We plan to take hikes in the jungle, visit the most gorgeous beaches, climb into hidden caves, bathe in a majestic waterfall, and spot plenty of wildlife. 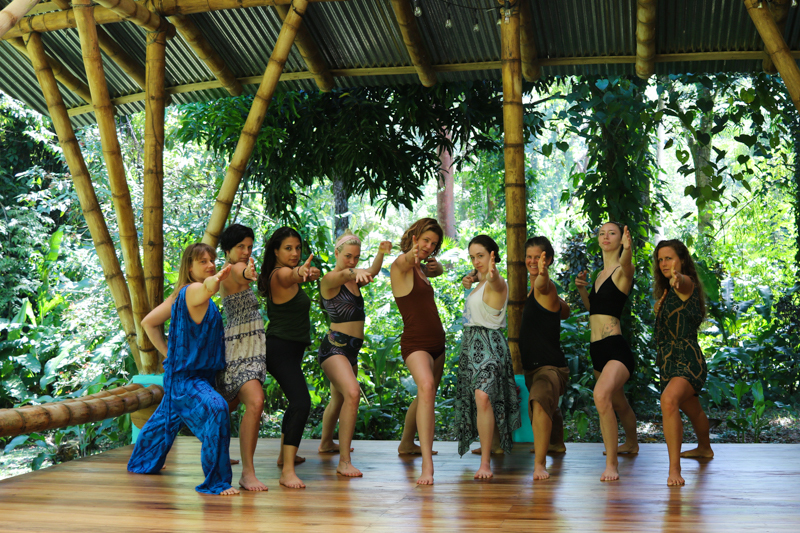 Women’s circles, breathwork ceremonies, tantra workshops, and cacao ceremony. 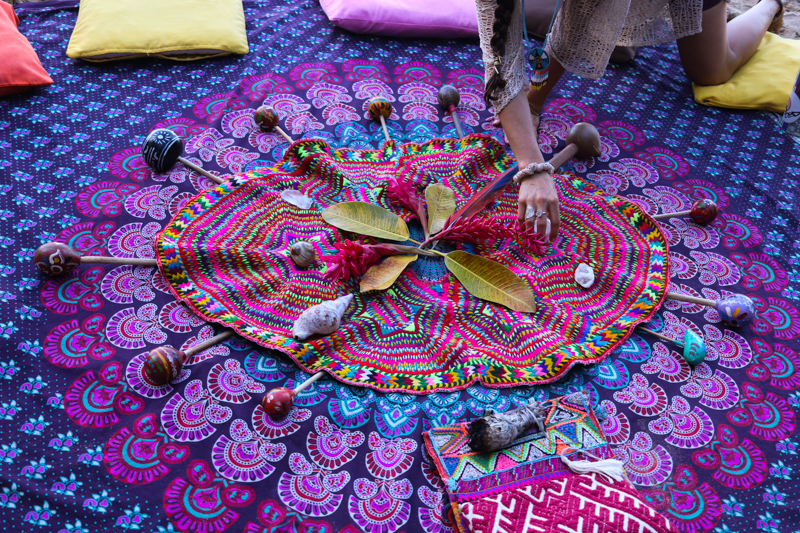 You can expect some pretty life changing, mind blowing ceremonies and workshops that weave together different traditions and healing modalities into a unique alchemy of magic. Nurturing alone time. One of the most healing things you can do is just walk in silence down a deserted beach. Surrender yourself to the ocean, let the sand hold you, and remember your true nature. You’ll have plenty of free time to explore and nourish. Real deal sisterhood. We truly show up for ourselves and one another in genuine, powerful ways. No BS. My full attention, support, and mentorship as your facilitator, sister, and friend for an entire week. If you’ve ever wanted to learn with me, this is the deepest way. Intimate small group setting. To foster trust, intimacy, and depth there’s space for just ten special women on these retreats. Hey sisters! We’re Camille and Dannie. Jungle goddesses. Unconventional free spirits. Moon children. Soul sisters. It’s an absolute honor to hold this sacred space for you. Most of you know me, Camille, through my blog This American Girl. During our week together you’ll know me as sister, teacher, facilitator, and friend. In addition to being a pioneer in the freedom lifestyle movement, I’m a certified vinyasa and yin yoga teacher, DANCEmandala facilitator, and I’ve studied a ridiculous amount of healing modalities including Reiki, Compassionate Listening, Hawaiian Lomi Lomi Spirituality, Tantra, Trauma Release Therapy, Breathwork, Women’s Circles, Womb Healing, Gene Keys Wisdom, Shamanic Healing, and more. Dannie is our in house support sister, absolute expert on EVERYTHING Puerto Viejo, massage therapist and Reiki channel, and pure open hearted love magic. We have both called this jungle our home for over six years, manifested our own unique dreams, and it’s with great heart that we sincerely invite you into our sisterhood. You are ready to make a big change in your life. You know it’s time to show up for yourself and the world more fully, and you’re ready to do the inner work to shine as brightly as you know you can. You desire to live a free, soulful life, connected with community and nature, making the world a more beautiful place by doing what you love. You want to feel healthy, vibrant, full of life. To awaken your senses, nourish your body, and reset your rhythm with the pace of nature. You enjoy yoga, movement exploration, dance, and want to dive deeper into spiritual practices. You’re ready and excited to unravel your old patterns, face your inner demons, and learn how to love yourself like you’ve never been loved before. You want to heal the wounds of sisterhood, not just for yourself but for our collective, by being vulnerable and compassionate in a safe group of women. You want to show up fully, challenge yourself, lean into discomfort, and face your fears for the sake of your personal growth. You know you’re born to do something positive in the world and are seeking the inspiration and empowerment to step even more fully onto your path. Something in your heart is telling you yes right now. Your intuition knows best, listen to it! Wake up early to the sounds of the monkeys howling in the jungle. Walk the private path from our home down to the most beautiful deserted beach and have your own sacred morning ritual. Open your hips and your heart, make love to your body with your breath, in our awakening morning yoga practice in an open air shala. Eat a healthy and DELICIOUS breakfast at our family table while we pull oracle cards and read to one another to set a sacred tone for the day. Ride your bicycle down the one jungle road like a local, to one of the most beautiful beaches in the world. After a ceremony at the lookout point, slather your body in a chocolate scrub, rinse off in the ocean, and eat a picnic lunch while bathing in the sunshine. Enjoy some chill time at the casa. Journey deep into yourself for a full body awakening through eyes closed dance meditation followed by a group cuddle puddle. Come home for a candlelit dinner and space to share whatever you feel. Go to bed early, relaxed and exhausted in the most delicious way. If your heart is ready to crack wide open in the magical jungle, with our sacred sisterhood, you already know what to do. Q: What’s the best airport to fly into and how do I book the best deal? A: You will need to land in San Jose, Costa Rica (SJO).To get good flight deals I recommend using Google Flights and checking flights in and out of major hubs near you. To make sure you arrive before our private group shuttle, plan to fly in the day before the retreat begins and spend a night in San Jose. I also recommend flying the day after the retreat ends as there can be unexpected road delays. You can coordinate shared lodging in our private Facebook group once you’ve registered. Q: I’m over 50, am I too old for this retreat? A: The typical age range of women who attend these retreats is 20 – 40, however we have had women over 50 join us as well. We create a loving, inclusive environment no matter your age. What’s more important for your safety and comfort is your physical condition. These retreats are very active and we will be immersed in the natural elements. Are you able to ride a bicycle for half an hour? Can you hike up a muddy trail and walk across slippery rocks? Can you walk down a beach with lots of fallen branches and trees? Are you up for doing yoga twice a day? Are you up for being in tropical heat? If you need a more gentle, laid back retreat this may not be the right experience for you. Q: Will there be free time? A: Yes! Free time is very important to me and I want you to have the space to explore and rest and be alone. We’ll typically have one full adventure day followed by one free day for a nice balance of group connection and personal freedom. Q: I want to come, but I’m concerned about the cost. Do I have options? A: A $500 nonrefundable deposit is required to reserve your spot, from there you can pay your balance monthly (with a small fee). The retreat must be paid in full before your arrival. Q: I’m still not sure. Can I contact you with questions? A: Of course! Send your email to camille@thisamericangirl.com and I’ll personally get back to you as quickly as I can.